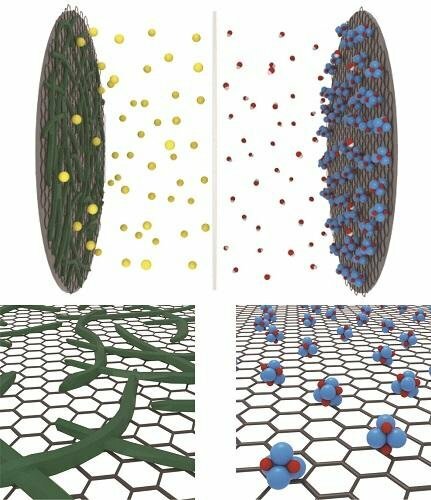 A KAIST research team has developed a new hybrid energy storage device that can be charged in less than a half-minute. It employs aqueous electrolytes instead of flammable organic solvents, so it is both environmentally friendly and safe. It also facilitates a boosting charge with high energy density, which makes it suitable for portable electronic devices. Conventional aqueous electrolyte-based energy storage devices have a limitation for boosting charges and high energy density due to low driving voltage and a shortage of anode materials. Energy storage device capacity is determined by the two electrodes, and the balance between cathode and anode leads to high stability. In general, two electrodes show differences in electrical properties and differ in ion storage mechanism processes, resulting in poor storage and stability from the imbalance. 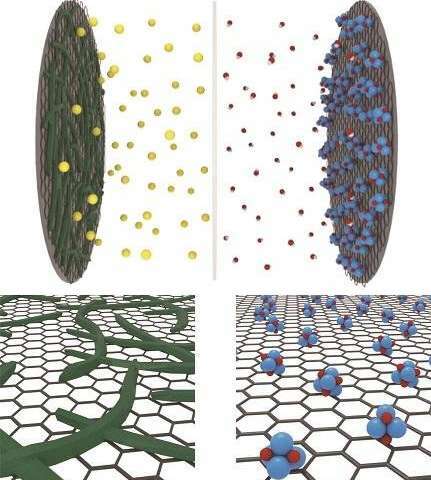 The research team came up with new structures and materials to facilitate rapid speed in energy exchange on the surfaces of the electrodes and minimize the energy loss between the two electrodes. For cathode materials, the team used metal oxide in sub-nanoscale structures to elevate atom-by-ion redox reactions. This method realized higher energy density and faster energy exchange while minimizing energy loss. 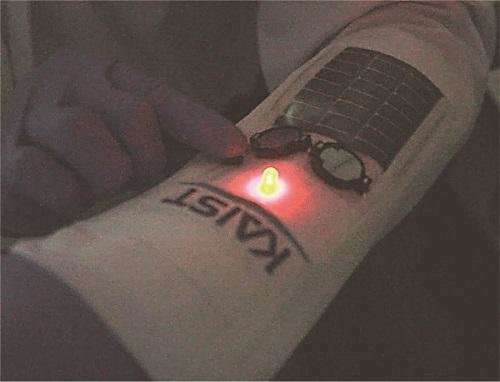 The developed device can be charged within 20 to 30 seconds using a low-power charging system, such as a USB switching charger or a flexible photovoltaic cell. The developed aqueous hybrid energy device shows more than 100-fold higher power density compared to conventional aqueous batteries and can be rapidly recharged. Further, the device showed high stability with its capacity maintained at 100% at a high charge/discharge current. Professor Kang said, "This eco-friendly technology can be easily manufactured and is highly applicable. In particular, its high capacity and high stability, compared to existing technologies, could contribute to the commercialization of aqueous capacitors. The device can be rapidly charged using a low-power charging system, and thus can be applied to portable electronic device."